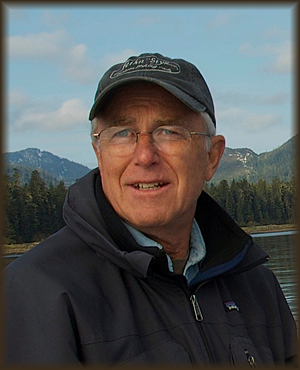 Fred W. Thomas established a national reputation as an illustrator with such clients as Eddie Bauer Co., National Geographic, Macmillan Publishing, Pepsi Cola Corp., Patagonia, Microsoft, L.L. Bean and Alaska Airlines. Perhaps his most visible work is the "Smiling Eskimo" on the tail of Alaska Airlines aircraft. He has illustrated numerous books, magazine covers and articles. His work appears in The Best of Wildlife Art. Fred has produced artwork for Alaska and Washington State Duck Stamps, (including the 2012/13 Washington State Stamp ) and three Washington State Salmon Stamps. Thomas has created a diverse portfolio that includes dioramas, text books and many commercial and fine art projects. Over 65 of his paintings have been reproduced as limited-edition prints. He is a member of The Puget Sound Group Of Painters and The Society Of Animal Artists (who in 2011 awarded Thomas their highest honor - The Award Of Excellence and in 2012 the Leonard J Meiselman Memorial Award ) . Each year his paintings are included in national and international juried exhibits. His paintings hang in numerous corporate and private collections. Fred Thomas produces artwork in several mediums including oil, watercolor, ink, graphite and colored pencil. Although the subjects of his paintings are diverse he is best known for his images of marine, wildlife and sporting art themes. His interest and knowledge of fish and fishing have resulted in the creation of numerous fishing paintings. His paintings and limited edition prints are displayed in galleries, major sports stores, catalogues and various retail outlets throughout the country.